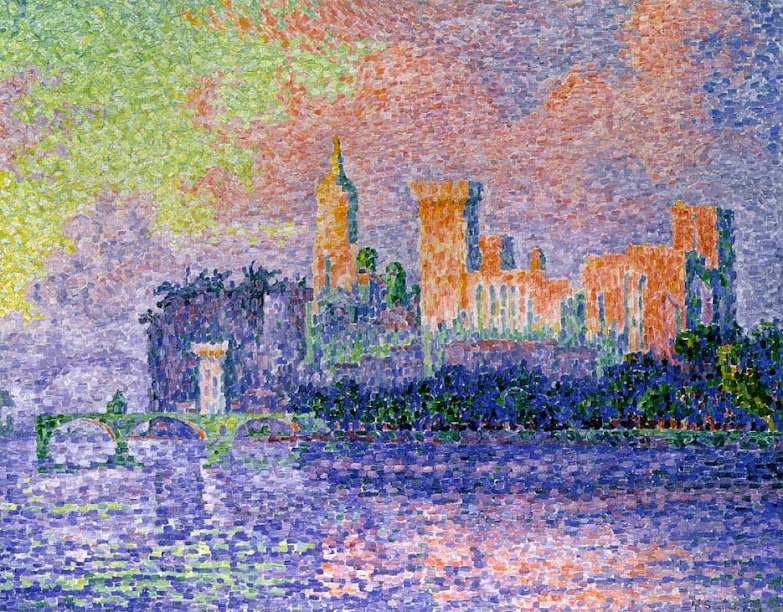 Pixels and the dots used in color printing may sound like a recent development, but they are the direct applications of optical theories first applied by visual artists in the 1880s. 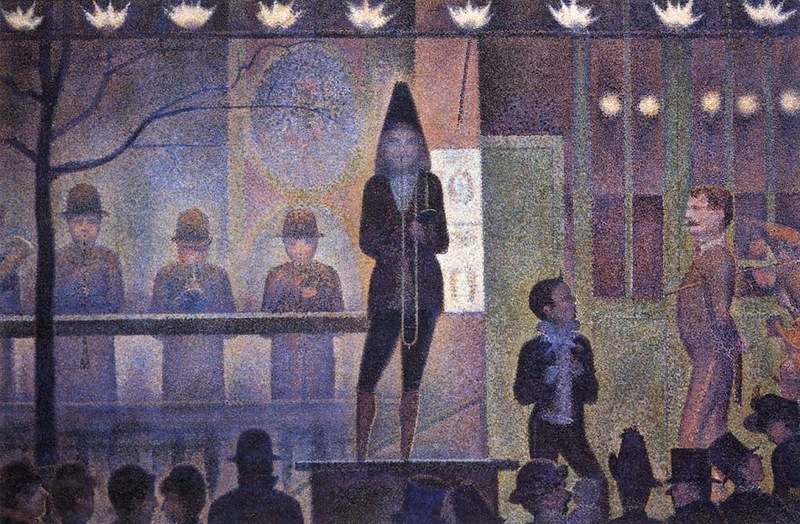 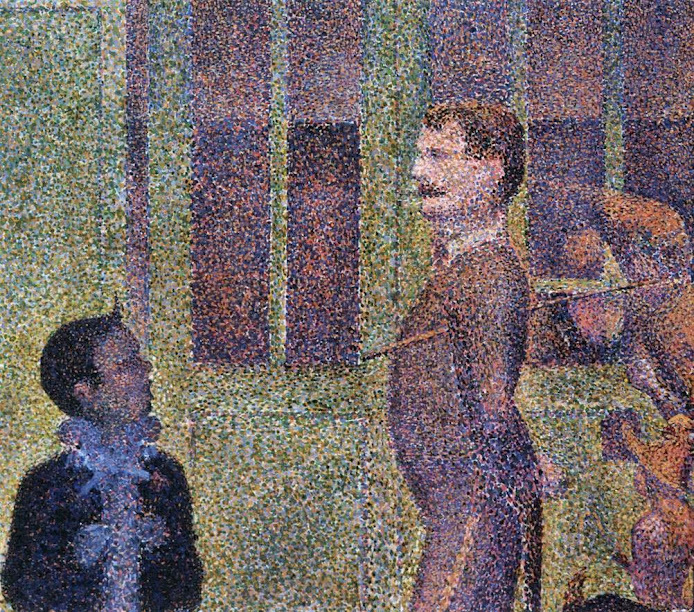 Chief among them is Georges Seurat, the French painter who first used tiny individual dots of pure color side by side, which combine to create a complete image when seen from a distance. 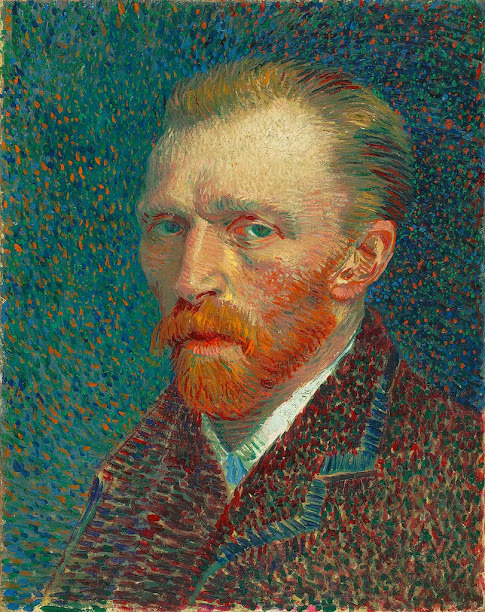 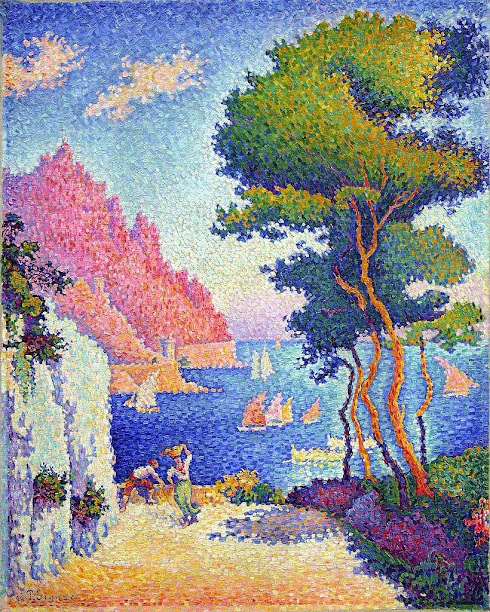 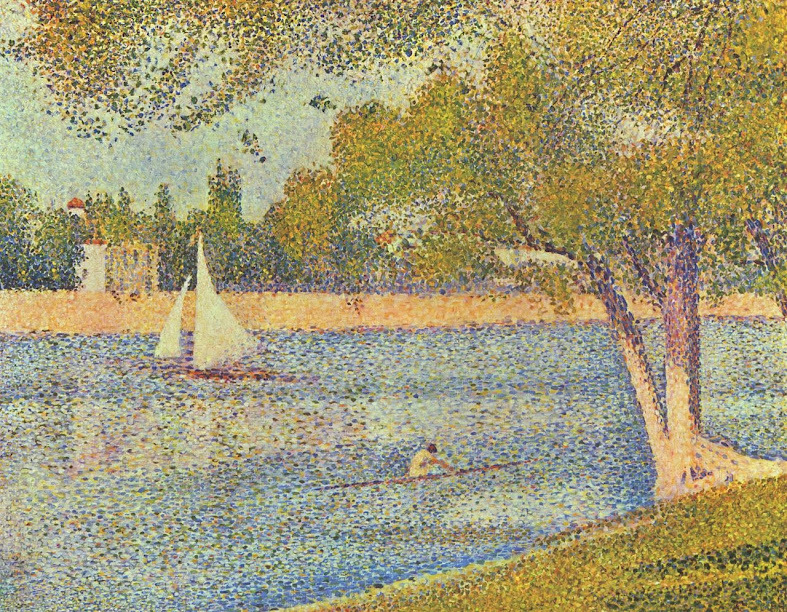 He called his technique Chromoluminarism, but critics created the term Pointillism to refer to his style, from “point,” the French word for “dot,” and the term stuck. 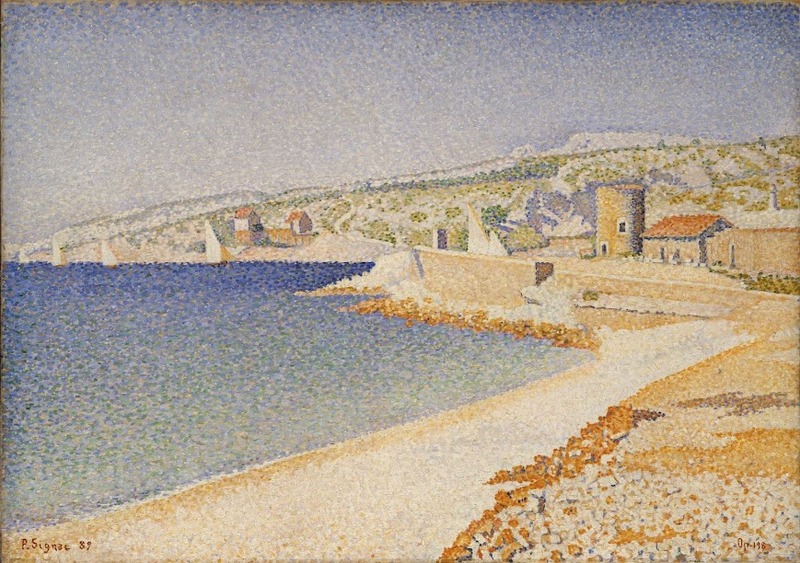 What these paintings rely on are the same principles driving display technology today, and the evolution of that technology is similarly characterized by arrangements of dots or squares and rectangles of basic colors, which form detailed images thanks to the properties of light and visual perception. 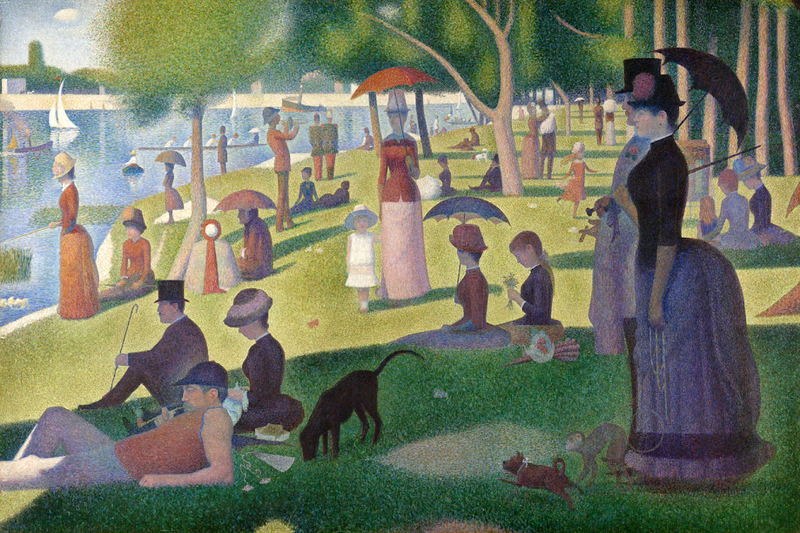 From Seurat to digital screens everywhere, the evolution of the color dot has proved central to the creation and dissemination of images worldwide. 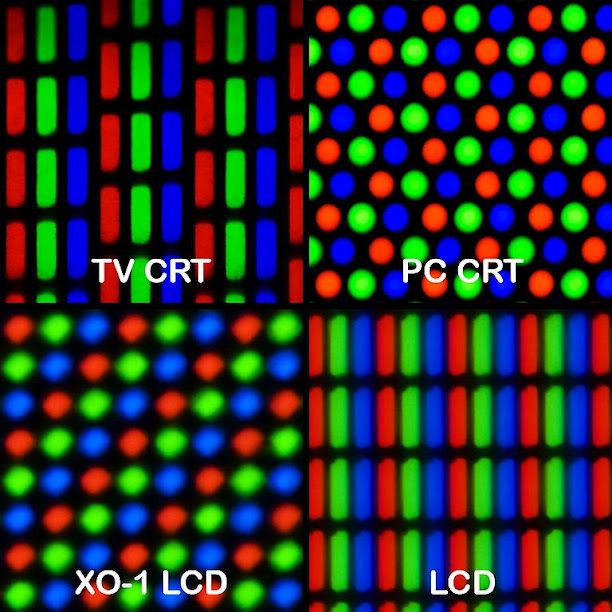 With the advent of ultra-high definition, it shows no sign of slowing down.